Flexible audio editor for professionals, music lovers and home users (for Windows) that provides an effective and user-friendly editing environment for novice users. One can edit and record music, apply effects and filters, adjust stereo channels and can give new birth to a song. 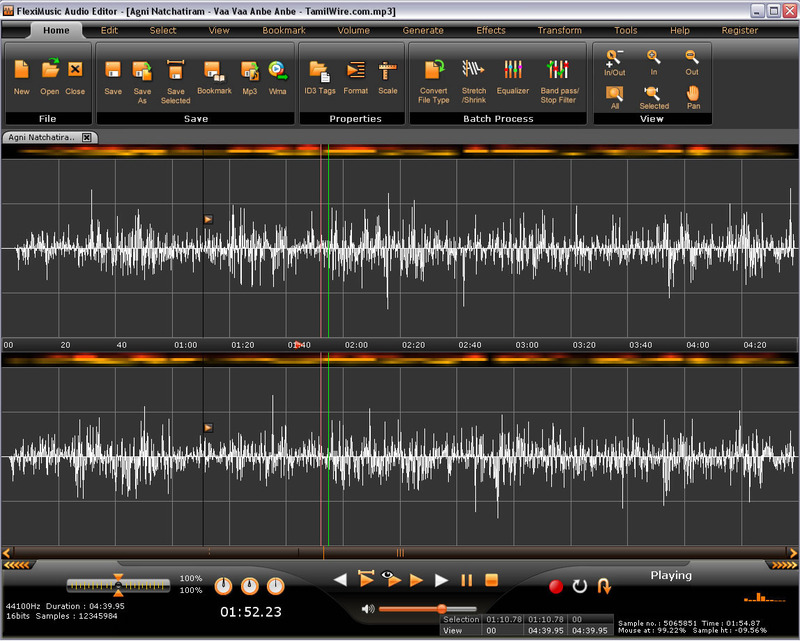 This mp3 editor can save audio of popular formats, Edit, Convert, Record and Player. So this enables one to form a complete recording studio with one's PC. Qweas is providing links to FlexiMusic Audio Editor May2011 as a courtesy, and makes no representations regarding FlexiMusic Audio Editor or any other applications or any information related thereto. Any questions, complaints or claims regarding this application FlexiMusic Audio Editor May2011 must be directed to the appropriate software vendor. You may click the publisher link of FlexiMusic Audio Editor on the top of this page to get more details about the vendor.